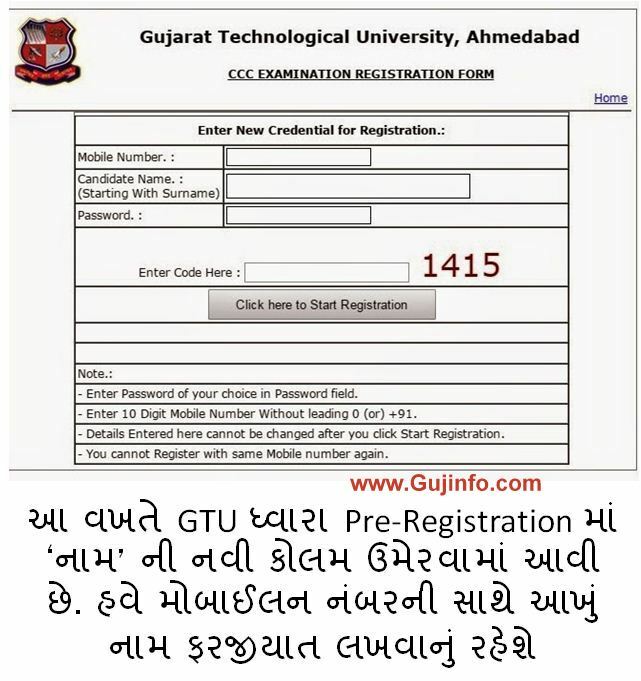 CCC GTU Fifth stage Registration will be open for 10000 Government Employees. The candidate who are interested in GTU CCC examination can apply on line from website. Registration will be open for 10000 candidates for the Fifth stage of Exam. ccc.gtu.ac.in is Official website for On-line CCC Registration. Candidate are advised to apply on line through this website. CCC on line registration step are given below. Fill all details and click Register & Generate Form button.